3/4 sleeves with double ruffle cuffs. Front lace side panels and a jagged hem with double fabrics. 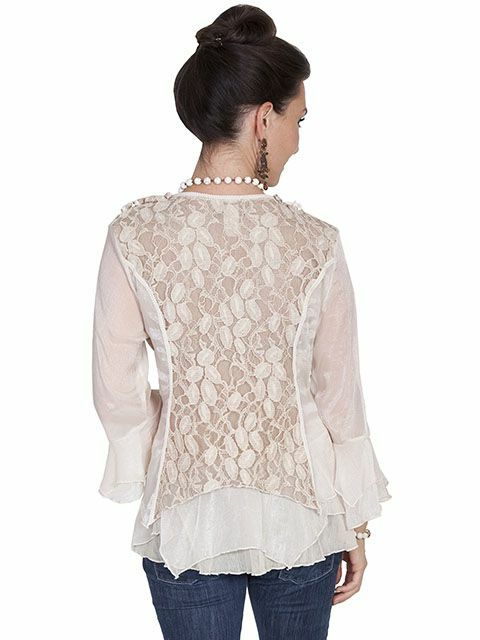 The back features a laced center with trapeze hem and fabric side panels. 52% silk and 48% polyester.